These highlights do not include all the information needed to use ROTARIX safely and effectively. See full prescribing information for ROTARIX. ROTARIX is indicated for the prevention of rotavirus gastroenteritis caused by G1 and non-G1 types (G3, G4, and G9) when administered as a 2-dose series [see Clinical Studies (14.3)]. ROTARIX is approved for use in infants 6 weeks to 24 weeks of age. Reconstitute only with accompanying diluent. Do not mix ROTARIX with other vaccines or solutions. 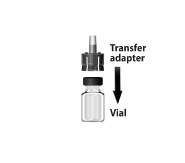 Remove vial cap and push transfer adapter onto vial (lyophilized vaccine). Shake diluent in oral applicator (white, turbid suspension). 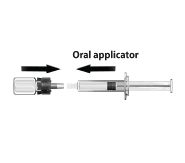 Connect oral applicator to transfer adapter. 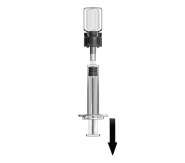 Push plunger of oral applicator to transfer diluent into vial. Suspension will appear white and turbid. Withdraw vaccine into oral applicator. Twist and remove the oral applicator. Do not use a needle with ROTARIX. The vaccination series consists of two 1-mL doses administered orally. The first dose should be administered to infants beginning at 6 weeks of age. There should be an interval of at least 4 weeks between the first and second dose. The 2-dose series should be completed by 24 weeks of age. Safety and effectiveness have not been evaluated if ROTARIX were administered for the first dose and another rotavirus vaccine were administered for the second dose or vice versa. In the event that the infant spits out or regurgitates most of the vaccine dose, a single replacement dose may be considered at the same vaccination visit. Breastfeeding was permitted in clinical studies. There was no evidence to suggest that breastfeeding reduced the protection against rotavirus gastroenteritis afforded by ROTARIX. There are no restrictions on the infant’s liquid consumption, including breast milk, either before or after vaccination with ROTARIX. ROTARIX is available as a vial of lyophilized vaccine to be reconstituted with a liquid diluent in a prefilled oral applicator. Each 1-mL dose contains a suspension of at least 106.0 median Cell Culture Infective Dose (CCID50) of live, attenuated human G1P rotavirus after reconstitution. Infants who develop symptoms suggestive of hypersensitivity after receiving a dose of ROTARIX should not receive further doses of ROTARIX. Infants with a history of uncorrected congenital malformation of the gastrointestinal tract (such as Meckel’s diverticulum) that would predispose the infant for intussusception should not receive ROTARIX. Infants with a history of intussusception should not receive ROTARIX [see Warnings and Precautions (5.5)]. In postmarketing experience, intussusception resulting in death following a second dose has been reported following a history of intussusception after the first dose [see Adverse Reactions (6.2)]. Infants with Severe Combined Immunodeficiency Disease (SCID) should not receive ROTARIX. Postmarketing reports of gastroenteritis, including severe diarrhea and prolonged shedding of vaccine virus, have been reported in infants who were administered live, oral rotavirus vaccines and later identified as having SCID [see Adverse Reactions (6.2)]. The tip caps of the prefilled oral applicators of diluent contain natural rubber latex which may cause allergic reactions. Administration of ROTARIX should be delayed in infants suffering from acute diarrhea or vomiting. Safety and effectiveness of ROTARIX in infants with known primary or secondary immunodeficiencies, including infants with human immunodeficiency virus (HIV), infants on immunosuppressive therapy, or infants with malignant neoplasms affecting the bone marrow or lymphatic system have not been established. Rotavirus shedding in stool occurs after vaccination with peak excretion occurring around Day 7 after Dose 1. One clinical trial demonstrated that vaccinees transmit vaccine virus to healthy seronegative contacts [see Clinical Pharmacology (12.2)]. The potential for transmission of vaccine virus following vaccination should be weighed against the possibility of acquiring and transmitting natural rotavirus. Caution is advised when considering whether to administer ROTARIX to individuals with immunodeficient close contacts, such as individuals with malignancies, primary immunodeficiency or receiving immunosuppressive therapy. In worldwide passive postmarketing surveillance, cases of intussusception have been reported in temporal association with ROTARIX [see Adverse Reactions (6.2)]. Safety and effectiveness of ROTARIX when administered after exposure to rotavirus have not been evaluated. Because clinical trials are conducted under widely varying conditions, adverse reaction rates observed in the clinical trials of a vaccine cannot be directly compared with rates in the clinical trials of another vaccine and may not reflect the rates observed in practice. As with any vaccine, there is the possibility that broad use of ROTARIX could reveal adverse reactions not observed in clinical trials. Solicited and unsolicited adverse events, serious adverse events and cases of intussusception were collected in 7 clinical studies. Cases of intussusception and serious adverse events were collected in an additional large safety study. These 8 clinical studies evaluated a total of 71,209 infants who received ROTARIX (n = 36,755) or placebo (n = 34,454). The racial distribution for these studies was as follows: Hispanic 73.4%, white 16.2%, black 1.0%, and other 9.4%; 51% were male. In 7 clinical studies, detailed safety information was collected by parents/guardians for 8 consecutive days following vaccination with ROTARIX (i.e., day of vaccination and the next 7 days). A diary card was completed to record fussiness/irritability, cough/runny nose, the infant’s temperature, loss of appetite, vomiting, or diarrhea on a daily basis during the first week following each dose of ROTARIX or placebo. Adverse events among recipients of ROTARIX and placebo occurred at similar rates (Table 1). Total vaccinated cohort = All vaccinated infants for whom safety data were available. n = Number of infants for whom at least one symptom sheet was completed. a Defined as crying more than usual. b Data not collected in 1 of 7 studies; Dose 1: ROTARIX n = 2,583; placebo n = 1,897; Dose 2: ROTARIX n = 2,522; placebo n = 1,863.
c Defined as temperature ≥100.4°F (≥38.0°C) rectally or ≥99.5°F (≥37.5°C) orally. d Defined as eating less than usual. Infants were monitored for unsolicited serious and non-serious adverse events that occurred in the 31-day period following vaccination in 7 clinical studies. The following adverse events occurred at a statistically higher incidence (95% Confidence Interval [CI] of Relative Risk excluding 1) among recipients of ROTARIX (n = 5,082) as compared with placebo recipients (n = 2,902): irritability (ROTARIX 11.4%, placebo 8.7%) and flatulence (ROTARIX 2.2%, placebo 1.3%). Infants were monitored for serious adverse events that occurred in the 31-day period following vaccination in 8 clinical studies. Serious adverse events occurred in 1.7% of recipients of ROTARIX (n = 36,755) as compared with 1.9% of placebo recipients (n = 34,454). Among placebo recipients, diarrhea (placebo 0.07%, ROTARIX 0.02%), dehydration (placebo 0.06%, ROTARIX 0.02%), and gastroenteritis (placebo 0.3%, ROTARIX 0.2%) occurred at a statistically higher incidence (95% CI of Relative Risk excluding 1) as compared with recipients of ROTARIX. During the entire course of 8 clinical studies, there were 68 (0.19%) deaths following administration of ROTARIX (n = 36,755) and 50 (0.15%) deaths following placebo administration (n = 34,454). The most commonly reported cause of death following vaccination was pneumonia, which was observed in 19 (0.05%) recipients of ROTARIX and 10 (0.03%) placebo recipients (Relative Risk: 1.74, 95% CI: 0.76, 4.23). In a controlled safety study conducted in Latin America and Finland, the risk of intussusception was evaluated in 63,225 infants (31,673 received ROTARIX and 31,552 received placebo). Infants were monitored by active surveillance including independent, complementary methods (prospective hospital surveillance and parent reporting at scheduled study visits) to identify potential cases of intussusception within 31 days after vaccination and, in a subset of 20,169 infants (10,159 received ROTARIX and 10,010 received placebo), up to one year after the first dose. No increased risk of intussusception following administration of ROTARIX was observed within a 31-day period following any dose, and rates were comparable to the placebo group after a median of 100 days (Table 2). In a subset of 20,169 infants (10,159 received ROTARIX and 10,010 received placebo) followed up to one year after Dose 1, there were 4 cases of intussusception with ROTARIX compared with 14 cases of intussusception with placebo (Relative Risk: 0.28 [95% CI: 0.10, 0.81]). All of the infants who developed intussusception recovered without sequelae. a Median duration after Dose 1 (follow-up visit at 30 to 90 days after Dose 2). Kawasaki disease has been reported in 18 (0.035%) recipients of ROTARIX and 9 (0.021%) placebo recipients from 16 completed or ongoing clinical trials. Of the 27 cases, 5 occurred following ROTARIX in clinical trials that were either not placebo-controlled or 1:1 randomized. In placebo-controlled trials, Kawasaki disease was reported in 17 recipients of ROTARIX and 9 placebo recipients (Relative Risk: 1.71 [95% CI: 0.71, 4.38]). Three of the 27 cases were reported within 30 days post-vaccination: 2 cases (ROTARIX = 1, placebo = 1) were from placebo-controlled trials (Relative Risk: 1.00 [95% CI: 0.01, 78.35]) and one case following ROTARIX was from a non–placebo-controlled trial. Among recipients of ROTARIX, the time of onset after study dose ranged 3 days to 19 months. The temporal association between vaccination with ROTARIX and intussusception was evaluated in a hospital-based active surveillance study that identified infants with intussusception at participating hospitals in Mexico. Using a self-controlled case series method,4 the incidence of intussusception during the first 7 days after receipt of ROTARIX and during the 31-day period after receipt of ROTARIX was compared with a control period. The control period was from birth to one year, excluding the pre-defined risk period (first 7 days or first 31 days post-vaccination, respectively). Over a 2-year period, the participating hospitals provided health services to approximately 1 million infants under 1 year of age. Among 750 infants with intussusception, the relative incidence of intussusception in the 31‑day period after the first dose of ROTARIX compared with the control period was 1.96 (95.5% CI: 1.46, 2.63)]; the relative incidence of intussusception in the first 7 days after the first dose of ROTARIX compared with the control period was 6.07 (95.5% CI: 4.20, 8.63). Worldwide passive postmarketing surveillance data suggest that most cases of intussusception reported following ROTARIX occur in the 7-day period after the first dose. The following adverse events have been reported since market introduction of ROTARIX. Because these events are reported voluntarily from a population of uncertain size, it is not always possible to reliably estimate their frequency or establish a causal relationship to vaccination with ROTARIX. Intussusception (including death), recurrent intussusception (including death), hematochezia, gastroenteritis with vaccine viral shedding in infants with SCID. In clinical trials, ROTARIX was administered concomitantly with U.S.-licensed and non–U.S.-licensed vaccines. In a U.S. coadministration study in 484 infants, there was no evidence of interference in the immune responses to any of the antigens when PEDIARIX [Diphtheria and Tetanus Toxoids and Acellular Pertussis Adsorbed, Hepatitis B (Recombinant) and Inactivated Poliovirus Vaccine], a U.S.-licensed 7-valent pneumococcal conjugate vaccine (Wyeth Pharmaceuticals Inc.), and a U.S.-licensed Hib conjugate vaccine (Sanofi Pasteur SA) were coadministered with ROTARIX as compared with separate administration of ROTARIX. Animal reproduction studies have not been conducted with ROTARIX. It is also not known whether ROTARIX can cause fetal harm when administered to a pregnant woman or can affect reproduction capacity. Safety and effectiveness of ROTARIX in infants younger than 6 weeks or older than 24 weeks of age have not been evaluated. The effectiveness of ROTARIX in pre-term infants has not been established. Safety data are available in pre-term infants (ROTARIX = 134, placebo = 120) with a reported gestational age ≤36 weeks. These pre-term infants were followed for serious adverse events up to 30 to 90 days after Dose 2. Serious adverse events were observed in 5.2% of recipients of ROTARIX as compared with 5.0% of placebo recipients. No deaths or cases of intussusception were reported in this population. 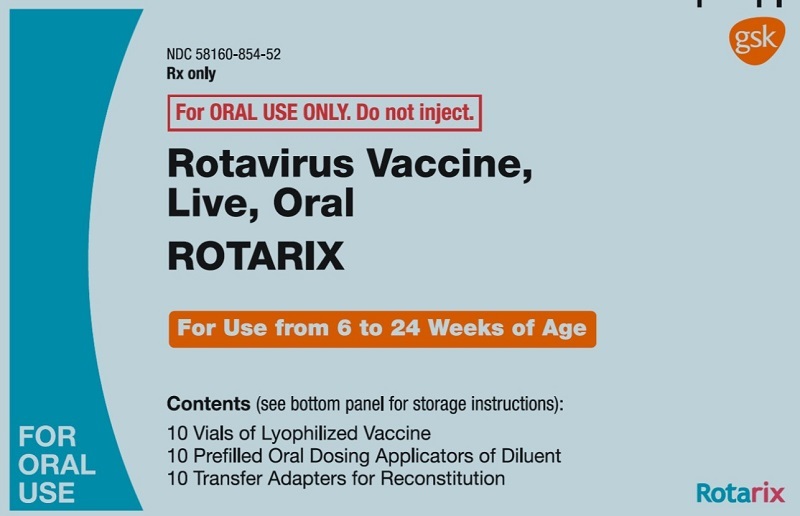 ROTARIX (Rotavirus Vaccine, Live, Oral), for oral administration, is a live, attenuated rotavirus vaccine derived from the human 89-12 strain which belongs to G1P type. The rotavirus strain is propagated on Vero cells. After reconstitution, the final formulation (1 mL) contains at least 106.0 median Cell Culture Infective Dose (CCID50) of live, attenuated rotavirus. The lyophilized vaccine contains amino acids, dextran, Dulbecco’s Modified Eagle Medium (DMEM), sorbitol, and sucrose. DMEM contains the following ingredients: sodium chloride, potassium chloride, magnesium sulfate, ferric (III) nitrate, sodium phosphate, sodium pyruvate, D-glucose, concentrated vitamin solution, L-cystine, L-tyrosine, amino acids solution, L-glutamine, calcium chloride, sodium hydrogenocarbonate, and phenol red. The liquid diluent contains calcium carbonate, sterile water, and xanthan. The diluent includes an antacid component (calcium carbonate) to protect the vaccine during passage through the stomach and prevent its inactivation due to the acidic environment of the stomach. ROTARIX is available in single-dose vials of lyophilized vaccine, accompanied by a prefilled oral applicator of liquid diluent [see How Supplied/Storage and Handling (16)]. The tip caps of the prefilled oral applicators contain natural rubber latex; the vial stoppers are not made with natural rubber latex. The exact immunologic mechanism by which ROTARIX protects against rotavirus gastroenteritis is unknown [see Clinical Pharmacology (12.2)]. ROTARIX contains a live, attenuated human rotavirus that replicates in the small intestine and induces immunity. A relationship between antibody responses to rotavirus vaccination and protection against rotavirus gastroenteritis has not been established. Seroconversion was defined as the appearance of anti-rotavirus IgA antibodies (concentration ≥20 U/mL) post-vaccination in the serum of infants previously negative for rotavirus. In 2 safety and efficacy studies, one to two months after a 2-dose series, 86.5% of 787 recipients of ROTARIX seroconverted compared with 6.7% of 420 placebo recipients and 76.8% of 393 recipients of ROTARIX seroconverted compared with 9.7% of 341 placebo recipients, respectively. A prospective, randomized, double-blind, placebo-controlled study was performed in the Dominican Republic in twins within the same household to assess whether transmission of vaccine virus occurs from a vaccinated infant to a non-vaccinated infant. One hundred pairs of healthy twins 6 to 14 weeks of age (gestational age ≥32 weeks) were randomized with one twin to receive ROTARIX (n = 100) and the other twin to receive placebo (n = 100). Twenty subjects in each arm were excluded for reasons such as having rotavirus antibody at baseline. Stool samples were collected on the day of or 1 day prior to each dose, as well as 3 times weekly for 6 consecutive weeks after each dose of ROTARIX or placebo. Transmission was defined as presence of the vaccine virus strain in any stool sample from a twin receiving placebo. Transmitted vaccine virus was identified in 15 of 80 twins receiving placebo (18.8% [95% CI: 10.9, 29.0]). Median duration of the rotavirus shedding was 10 days in twins who received ROTARIX as compared with 4 days in twins who received placebo in whom the vaccine virus was transmitted. In the 15 twins who received placebo, no gastrointestinal symptoms related to transmitted vaccine virus were observed. ROTARIX has not been evaluated for carcinogenic or mutagenic potential, or for impairment of fertility. The data demonstrating the efficacy of ROTARIX in preventing rotavirus gastroenteritis come from 24,163 infants randomized in two placebo-controlled studies conducted in 17 countries in Europe and Latin America. In these studies, oral polio vaccine (OPV) was not coadministered; however, other routine childhood vaccines could be concomitantly administered. Breastfeeding was permitted in both studies. A randomized, double-blind, placebo-controlled study was conducted in 6 European countries. A total of 3,994 infants were enrolled to receive ROTARIX (n = 2,646) or placebo (n = 1,348). Vaccine or placebo was given to healthy infants as a 2-dose series with the first dose administered orally from 6 through 14 weeks of age followed by one additional dose administered at least 4 weeks after the first dose. The 2-dose series was completed by 24 weeks of age. For both vaccination groups, 98.3% of infants were white and 53% were male. The primary efficacy endpoint was prevention of any grade of severity of rotavirus gastroenteritis caused by naturally occurring rotavirus from 2 weeks after the second dose through one rotavirus season (according to protocol, ATP). Other efficacy evaluations included prevention of severe rotavirus gastroenteritis, as defined by the Vesikari scale, and reductions in hospitalizations due to rotavirus gastroenteritis and all-cause gastroenteritis regardless of presumed etiology. Analyses were also done to evaluate the efficacy of ROTARIX against rotavirus gastroenteritis among infants who received at least one vaccination (total vaccinated cohort, TVC). Efficacy of ROTARIX against any grade of severity of rotavirus gastroenteritis through one rotavirus season was 87.1% (95% CI: 79.6, 92.1); TVC efficacy was 87.3% (95% CI: 80.3, 92.0). Efficacy against severe rotavirus gastroenteritis through one rotavirus season was 95.8% (95% CI: 89.6, 98.7); TVC efficacy was 96.0% (95% CI: 90.2, 98.8) (Table 4). The protective effect of ROTARIX against any grade of severity of rotavirus gastroenteritis observed immediately following Dose 1 administration and prior to Dose 2 was 89.8% (95% CI: 8.9, 99.8). Efficacy of ROTARIX in reducing hospitalizations for rotavirus gastroenteritis through one rotavirus season was 100% (95% CI: 81.8, 100); TVC efficacy was 100% (95% CI: 81.7, 100) (Table 4). ROTARIX reduced hospitalizations for all-cause gastroenteritis regardless of presumed etiology by 74.7% (95% CI: 45.5, 88.9). RV GE = Rotavirus gastroenteritis; CI = Confidence Interval. a ATP analysis includes all infants in the efficacy cohort who received two doses of vaccine according to randomization. b TVC analysis includes all infants in the efficacy cohort who received at least one dose of vaccine or placebo. c Severe gastroenteritis defined as ≥11 on the Vesikari scale. d Statistically significant versus placebo ( P <0.001). A randomized, double-blind, placebo-controlled study was conducted in 11 countries in Latin America and Finland. A total of 63,225 infants received ROTARIX (n = 31,673) or placebo (n = 31,552). An efficacy subset of these infants consisting of 20,169 infants from Latin America received ROTARIX (n = 10,159) or placebo (n = 10,010). Vaccine or placebo was given to healthy infants as a 2-dose series with the first dose administered orally from 6 through 13 weeks of age followed by one additional dose administered at least 4 weeks after the first dose. The 2-dose series was completed by 24 weeks of age. For both vaccination groups, the racial distribution of the efficacy subset was as follows: Hispanic 85.8%, white 7.9%, black 1.1%, and other 5.2%; 51% were male. The clinical case definition of severe rotavirus gastroenteritis was an episode of diarrhea (passage of 3 or more loose or watery stools within a day), with or without vomiting, where rotavirus was identified in a stool sample, requiring hospitalization and/or rehydration therapy equivalent to World Health Organization (WHO) plan B (oral rehydration therapy) or plan C (intravenous rehydration therapy) in a medical facility. The primary efficacy endpoint was prevention of severe rotavirus gastroenteritis caused by naturally occurring rotavirus from 2 weeks after the second dose through one year (ATP). Analyses were done to evaluate the efficacy of ROTARIX against severe rotavirus gastroenteritis among infants who received at least one vaccination (TVC). Reduction in hospitalizations due to rotavirus gastroenteritis was also evaluated (ATP). Efficacy of ROTARIX against severe rotavirus gastroenteritis through one year was 84.7% (95% CI: 71.7, 92.4); TVC efficacy was 81.1% (95% CI: 68.5, 89.3) (Table 5). Efficacy of ROTARIX in reducing hospitalizations for rotavirus gastroenteritis through one year was 85.0% (95% CI: 69.6, 93.5); TVC efficacy was 80.8% (95% CI: 65.7, 90.0) (Table 5). c Statistically significant versus placebo ( P <0.001). In the European study, the efficacy of ROTARIX against any grade of severity of rotavirus gastroenteritis through two rotavirus seasons was 78.9% (95% CI: 72.7, 83.8). Efficacy in preventing any grade of severity of rotavirus gastroenteritis cases occurring only during the second season post-vaccination was 71.9% (95% CI: 61.2, 79.8). The efficacy of ROTARIX against severe rotavirus gastroenteritis through two rotavirus seasons was 90.4% (95% CI: 85.1, 94.1). Efficacy in preventing severe rotavirus gastroenteritis cases occurring only during the second season post-vaccination was 85.6% (95% CI: 75.8, 91.9). The efficacy of ROTARIX in reducing hospitalizations for rotavirus gastroenteritis through two rotavirus seasons was 96.0% (95% CI: 83.8, 99.5). In the Latin American study, the efficacy of ROTARIX against severe rotavirus gastroenteritis through two years was 80.5% (95% CI: 71.3, 87.1). Efficacy in preventing severe rotavirus gastroenteritis cases occurring only during the second year post-vaccination was 79.0% (95% CI: 66.4, 87.4). The efficacy of ROTARIX in reducing hospitalizations for rotavirus gastroenteritis through two years was 83.0% (95% CI: 73.1, 89.7). The efficacy of ROTARIX beyond the second season post-vaccination was not evaluated. The type-specific efficacy against any grade of severity and severe rotavirus gastroenteritis caused by G1P, G3P, G4P, G9P, and combined non-G1 (G2, G3, G4, G9) types was statistically significant through one year. Additionally, type-specific efficacy against any grade of severity and severe rotavirus gastroenteritis caused by G1P, G2P, G3P, G4P, G9P, and combined non-G1 (G2, G3, G4, G9) types was statistically significant through two years (Table 6). CI = Confidence Interval; NS = Not significant. a Statistical analyses done by G type; if more than one rotavirus type was detected from a rotavirus gastroenteritis episode, the episode was counted in each of the detected rotavirus type categories. b Statistically significant versus placebo ( P <0.05). c The P genotype was not typeable for one episode. d P genotype was not detected in one episode. e Two cases of G12P were isolated in the second season (one in each group). Murphy TV, Gargiullo PM, Massoudi MS, et al. Intussusception among infants given an oral rotavirus vaccine. N Engl J Med 2001;344:564–572. Carlin JB, Macartney KK, Lee KJ, et al. Intussusception Risk and Disease Prevention Associated with Rotavirus Vaccines in Australia’s National Immunization Program. CID 2013;57(10):1427-1434. Patel MM, López-Collada VR, Bulhões MM, et al. Intussusception Risk and Health Benefits of Rotavirus Vaccination in Mexico and Brazil. N Engl J Med 2011;364:2283-2292. Farrington CP, Whitaker HJ, Hocine MN, et al. Case series analysis for censored, perturbed, or curtailed post-event exposures. Biostatistics 2009;10(1):3–16. Tate JE, Simonsen L, Viboud C, et al. Trends in intussusception hospitalizations among US infants, 1993–2004: implications for monitoring the safety of the new rotavirus vaccination program. Pediatrics 2008;121:e1125-e1132. Centers for Disease Control and Prevention. Prevention of rotavirus gastroenteritis among infants and children. Recommendations of the Advisory Committee on Immunization Practices (ACIP). MMWR 2006;55(No. RR-12):1-13. Parashar UD, Holman RC, Clarke MJ, et al. Hospitalizations associated with rotavirus diarrhea in the United States, 1993 through 1995: surveillance based on the new ICD-9-CM rotavirus-specific diagnostic code. J Infect Dis 1998;177:13-17. Ruuska T, Vesikari T. Rotavirus disease in Finnish children: use of numerical scores for severity of diarrheal episodes. Scand J Infect Dis 1990;22:259-267. 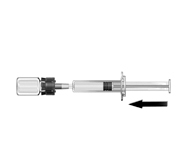 ROTARIX is available in single-dose vials of lyophilized vaccine, accompanied by a prefilled oral applicator of liquid diluent (1 mL) with a plunger stopper, and a transfer adapter for reconstitution. Lyophilized vaccine in vials: Store refrigerated at 2° to 8°C (36° to 46°F). Protect vials from light. 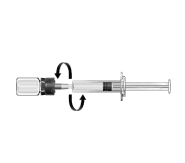 Diluent in oral applicators: Store refrigerated at 2° to 8°C (36° to 46°F) or at a controlled room temperature up to 25°C (77°F). Do not freeze. Discard if the diluent has been frozen. ROTARIX should be administered within 24 hours of reconstitution. After reconstitution, store refrigerated at 2° to 8°C (36° to 46°F) or at a controlled room temperature up to 25°C (77°F). Discard the reconstituted vaccine in biological waste container if not used within 24 hours. Do not freeze. Discard if the reconstituted vaccine has been frozen. See FDA-approved patient labeling (Patient Information). Patient labeling is provided as a tear-off leaflet at the end of this full prescribing information. Parents or guardians should be informed by the healthcare provider of the potential benefits and risks of immunization with ROTARIX, and of the importance of completing the immunization series. The healthcare provider should inform the parents or guardians about the potential for adverse reactions that have been temporally associated with administration of ROTARIX or other vaccines containing similar components. The parent or guardian should immediately report any signs and/or symptoms of intussusception. The parent or guardian should be given the Vaccine Information Statements, which are required by the National Childhood Vaccine Injury Act of 1986 to be given prior to immunization. These materials are available free of charge at the Centers for Disease Control and Prevention (CDC) website (www.cdc.gov/vaccines). Read this Patient Information carefully before your baby gets ROTARIX and before your baby receives the next dose of ROTARIX. This leaflet is a summary of information about ROTARIX and does not take the place of talking with your baby’s doctor. ROTARIX is a vaccine that protects your baby from a kind of virus (called a rotavirus) that can cause bad diarrhea and vomiting. Rotavirus can cause diarrhea and vomiting that is so bad that your baby can lose too much body fluid and need to go to the hospital. 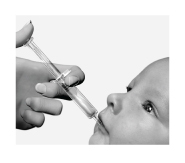 Rotavirus vaccine is a liquid that is given to your baby by mouth. It is not a shot. Who should not take ROTARIX? He or she has had an allergic reaction after getting a dose of ROTARIX. He or she is allergic to any of the ingredients of this vaccine. A list of ingredients can be found at the end of this leaflet. A doctor has told you that your baby’s digestive system has a defect (is not normal). He or she has a history of a serious problem called intussusception that happens when a part of the intestine gets blocked or twisted. He or she has Severe Combined Immunodeficiency Disease (SCID), a severe problem with his/her immune system. Has problems with his/her immune system. Will be in close contact with someone who has problems with his/her immune system or is getting treated for cancer as the spread of vaccine virus to non-vaccinated contacts could occur. Hand washing is recommended after diaper changes to help prevent the spread of vaccine virus. If your baby has been having diarrhea and vomiting, your doctor may want to wait before giving your baby a dose of ROTARIX. What are possible side effects of ROTARIX? Severe stomach pain (if your baby brings his/her knees to his/her chest while crying or screaming). Studies showed an increased risk of intussusception after the first and second dose of vaccine, especially in the first 7 days. Other reported side effects include: Kawasaki disease (a serious condition that can affect the heart; symptoms may include fever, rash, red eyes, red mouth, swollen glands, swollen hands, and feet and, if not treated, death can occur). Talk to your baby’s doctor if your baby has any problems that concern you. ROTARIX is a liquid that is dropped into your baby’s mouth and swallowed. Your baby will get the first dose at around 6 weeks old. The second dose will be at least 4 weeks after the first dose (before 6 months old). Be sure to plan the time for your baby’s second dose with the doctor because it is important that your baby gets both doses of ROTARIX before your baby is 6 months old. The doctor may decide to give your baby shots at the same time as ROTARIX. Your baby can be fed normally after getting ROTARIX. What are the ingredients in ROTARIX? ROTARIX contains weakened human rotavirus. ROTARIX also contains dextran, sorbitol, xanthan, and Dulbecco’s Modified Eagle Medium (DMEM). The ingredients of DMEM are as follows: sodium chloride, potassium chloride, magnesium sulphate, ferric (III) nitrate, sodium phosphate, sodium pyruvate, D-glucose, concentrated vitamin solution, L-cystine, L-tyrosine, amino acids solution, L-glutamine, calcium chloride, sodium hydrogenocarbonate, and phenol red. Porcine circovirus type 1 (PCV-1), a virus found in pigs, is present in ROTARIX. PCV-1 is not known to cause disease in humans. The dropper used to give your baby ROTARIX contains latex. For ORAL USE ONLY. Do not inject.